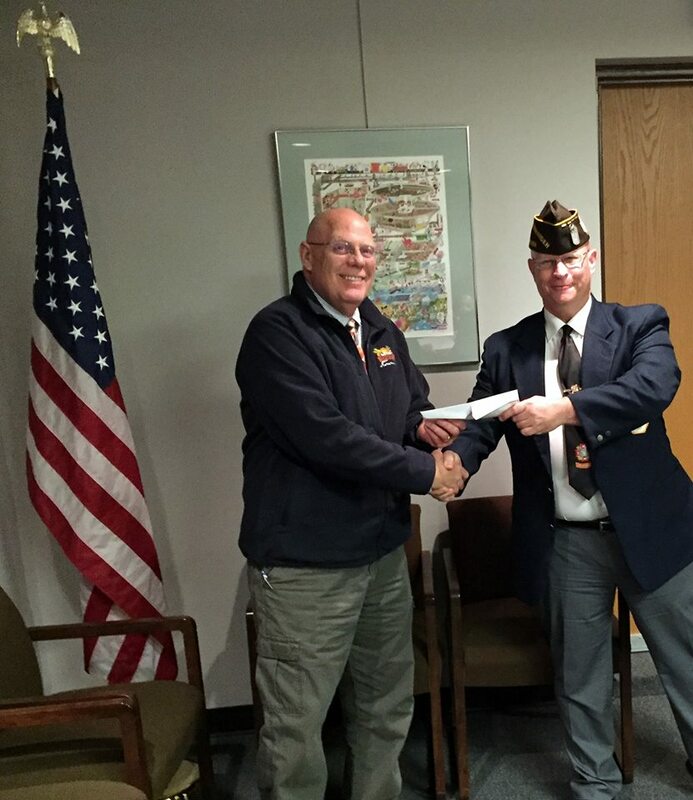 VFW Post 7530 Vice Commander Jeff Puckett, Jr. visited the HTVRC meeting on November 16, 2017 and presented Treasurer Robert Weed with the Post’s contribution in support of the Captain Leon Lock Veterans Memorial. Post 7530 is sponsoring the Vietnam War Point of Remembrance which will be installed in the Spring of 2018. There are plans for twelve monuments to be installed along the path to the memorial. There are a few Points of Remembrance that are still available for sponsorships. If you are interested in sponsoring one of these beautiful monuments send an email to: hampdenvets16@gmail.com. On behalf of the entire HTVRC team we thank you again Commander Puckett and VFW Post 7530 for your help in honoring our veterans – past, present, and future.